What is GMAT? If you’re applying for an MBA program, then one of the most important requirements you need to submit is the Graduate Management Admission Test or GMAT. 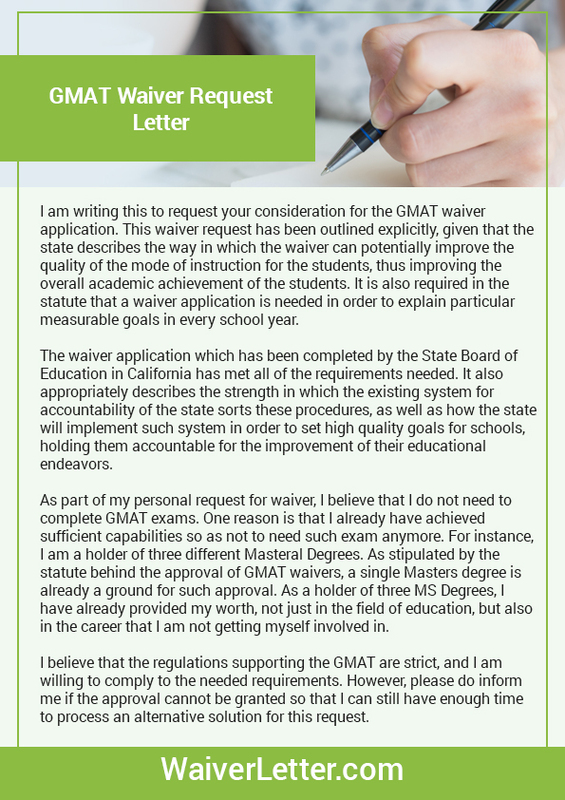 However, students sometimes need a GMAT waiver request letter under certain circumstances, such as when they are qualified to apply for the waiving of their GMAT or when they think that their professional experience is enough to prove that they do not need the exam score to apply for the MBA program. The GMAT, on the other hand, is also a requirement for students looking to be admitted to a scholarship program. The exam is recognized by well over 5,000 management and business programmes worldwide. 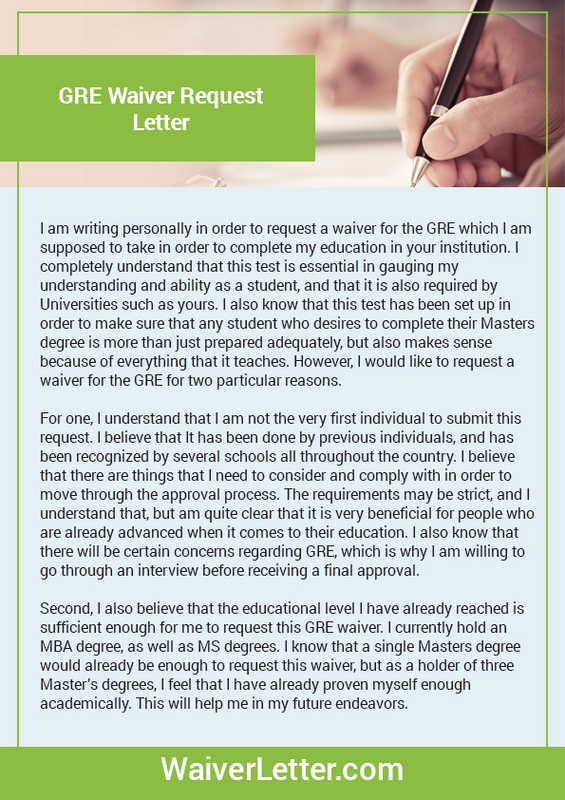 Before learning how to write a GMAT waiver letter, GRE waiver letter, students should learn what the GMAT involves. At the very least, this type of exam measures a student’s mathematical, verbal, integrated reasoning as well as analytical writing skills, which students acquired or learned in their work and education. What is the test not? It’s not for measuring job skills, business knowledge, a content of your university or undergraduate course or any of your abilities in a subject area. It does not also measure any specific qualities, such as interpersonal skills, creativity or motivation. 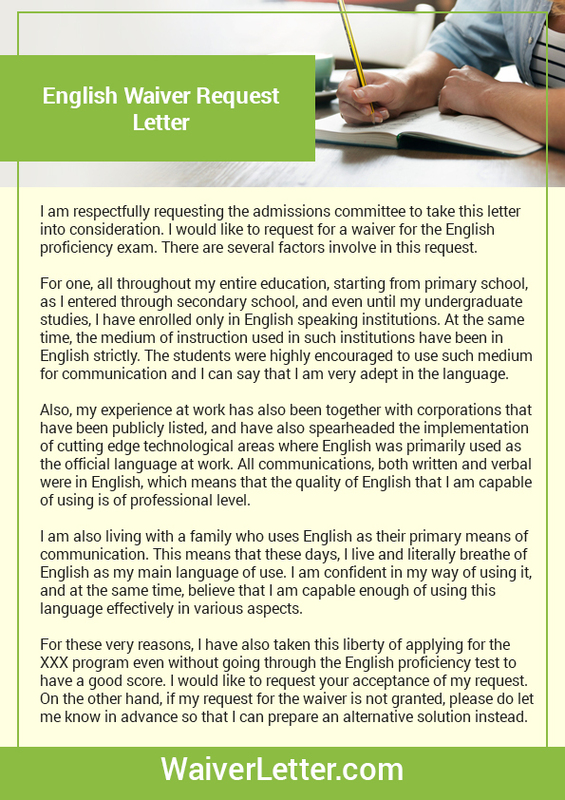 So, GMAT waiver letter for lots of applicants can be a real chance to present what they are capable of. GMAT is a computer adaptive type of test. It is facilitated in English. There are four parts to it, and they are the integrated reasoning, analytical writing assessment, the verbal section and the quantitative section. Through the years, the test has been modified and developed. A few sections of the exam has been scrapped, such as the directed memory and testing on antonyms. Just on June 5, 2012, the integrated reasoning part was added. It is the first part of the exam that lasts for about 30 minutes. This part of the test concentrates on an argument analysis. During the first part, the students will explain what the logic is behind a certain argument. He should also add his point of view. What you need here is to show and be great at communicating and critical thinking. The format of this exam is essay type and its topic is argument analysis. Scoring is 0-6 at half digit intervals. To be taken in 30 minutes. This part of the exam involves your ability to combine the data from different materials to interpret the likelihood of results and information. It also measures your ability to convert quantitative data between verbal and graphical formats. It is made of 12 questions that you should answer only in 30 minutes. You may be allowed to use a calculator but you cannot move to the previous screens to return to skipped questions or change answers. There are several sections of the IR exam, they are the graphics interpretation, multi-source reasoning, table analysis, and 2-part analysis. This exam gives the students 75 minutes to answer, and they have to answer 41 questions. This section is made of critical reasoning, reading comprehension, and sentence corrections. Testing time is three and a half hours. If you want to use the optional breaks, you can plan for about four hours. The overall score for GMAT is 200-800. In the official score report, the verbal and quantitative scores are transformed into 200-800. Usually, MBA programmes require between 500 and 650. However, admitted students usually have an average of about 700 in the best MBA programmes. Now if you’re qualified for the GMAT waiver letter, you may want to check out GMAT waiver letter sample to learn how to write a GMAT waiver MBA or get more guidance to write an impressive one. Explore our professional service and find out more tips for the GMAT waiver letter writing today!